Having witnessed the rampant growth of Finance and Accounting BPO over recent years, the common thread among the leading service providers has been cost-arbitrage through offshore labor. There is, however, one exception: Vengroff Williams and Associates (VWA). Naturally, the core differentiators among service providers is the ability to innovate with process and technology, and provide great people to service their clients, however, the offshore element has created the cost-lever to entice companies to move into a BPO end-state. VWA is the one service provider which has resisted the lure of offshore/nearshore delivery to drive down costs even further, and has chosen to focus on its onshore delivery centers underpinned by its order-to-cash technology solution to service its clients. VWA achieved a 5% share of F&A BPO engagements in 2007, which was greater than several of the leading BPO providers in the market, and boasts some blue-chip brands in its client portfoilio, namely Ford Motor Company, Federal Express, Kodak, Microsoft, Yamaha and others. Moreover, in this age of protectionism, in addition to the increased focus on healthcare reform, you have to consider VWA in a unique position in the industry today. I recently caught up with CEO Mark Vengroff to ask him to share with us the reasons for VWA's success. PF: Mark – you have been in the finance and accounting services business for the last couple of decades. Why has growth really taken off in the last couple of years? What has changed to drive this? MV: VWA has always been ahead of the curve in providing new services and innovation to the industry. We were one of the first to introduce automated collection tools, automated work flow, imaging technology/ OCR where we used to process hand written accident claims submitted by insurance companies on paper, early introduction of credit scoring to drive specific account treatment, deduction management and one of the first in the industry to provide O2C outsourcing services. Our largest growth came from the globalization of O2C Outsourcing which we had successfully launched by having a long proven history with several F100 clients from various industries. This was also combined with our ability to capitalize this growth without the need to take on any debt. Over the past 45 years we had invested well as a company. PF: We’ve been through the dot.com bust, Y2K, SOX and now The Great Recession. How is the role of the CFO changing today to accommodate for all this turmoil to our businesses? MV: A CFO today is required to focus primarily on reducing costs, and evaluating risk in both customer credit and critical vendors. With the limited availability of credit, a focus on the preservation of cash is the priority. This drives, cost cutting, reduction of labor, reducing capital expenses and creating strategies to improve working capital and review of additional efficiencies that can be gained through the chain. PF: VWA is employee-owned; how does that impact corporate culture? MV: VWA goes through a bi-annual internal ESOP Representative Election process, allowing employees to campaign bringing additional focus and enthusiasm into VWA’s business. ESOP creates a cultural of employees who are more engagement and care for the company since they now have ownership in. A sense of self empowerment to make and look for improvements. Owners make better Employees. As a service provider, we are only as strong as our people. Forced the board members to deep dive into the history and present strategy in a more holistic approach, to capture the thought process from various levels though out the organization. This resulted in well thought out strategies and a better understanding on how new programs would be perceived or would affect the business at multiple levels within and outside the organization. The ESOP Representative attending the board meetings, sit with the regional ESOP Rep’s after each board meeting. This helps to drive the corporate message from various channels and creates better understanding, employee buy-in, and a clear focus on that message. .
PF: Is being employee-owned an advantage in this economy, and what advice would you give to other CEOs on this issue? MV: We have noticed our employee owners doing more to help watch the bottom line and question spending. i.e. Turning off the lights when someone leaves the conference room, turning off their monitors when leaving for the day. Employee Owners are not afraid to present creative ways to prevent waste in a job function or improve work flow by introducing and adapting to new innovations being introduced. PF: You are the one “player” in F&A managed services which has resisted heavy reliance on offshore delivery. Has that been a major disadvantage when competing on price? And are you finding this strategy helpful with this wave of job-protectionism? Or do you find when it comes to saving money, these value often go out the window for many US corporate? PF: It seems as if the fog is lifting and we’re all looking around at the new economic environment. So what next for the F&A managed services market and the industry in general? MV: Primary focus is now on credit, global financial risk analysis, and customer payment behavioral tools. These will drive the limited resources to focus on the primary areas that require their attention. VWA has been working on a state of the art software application that is called, WebCollect. It has been 3 years in development and is about to be rolled out into the marketplace in the next three months. We have been beta testing the software with various large clients of VWA and having extremely good success in eliminating a lot of unnecessary risk and driving costs down and out of the process. Also, the Mid-Market space has been our largest growth area in the past year. PF: And finally, what advice would you give for young CEOs today in the services industry? MV: Keep your organization flat – Select great managers then empower them to make decisions. Flexibility and your ability to adapt to individual clients changing business requirements are critical. Service is about delivering value and introducing innovation to your clients. Pushing this down the organization must be your top priority. If you’re working with and listening closely to your top clients and strategic partners, you will always have your finger close to the pulse of your industry and know exactly what you will need to do next to stay ahead of your competition. 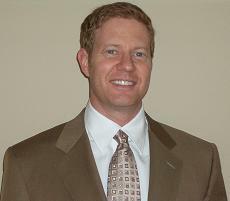 Mark Vengroff (pictured) is Chief Executive Officer, Vengroff, Williams & Associates, Inc. He is responsible for VWA’s extensive growth over the last three years and expansion of the company’s service offerings to include complete order to cash Business Process Outsourcing (BPO) and high volume deduction management Solutions. Great interview - I predict more enterprises going down the employee-owned path in the future as they look for staff committed to the cause.